The wearable-camera maker styled itself a media company, but even its hardware business is suffering job cuts as sales fall short. Success is even harder than usual when – as at Snap, which fancied itself a camera company – the boss wastes time and resources chasing whims. 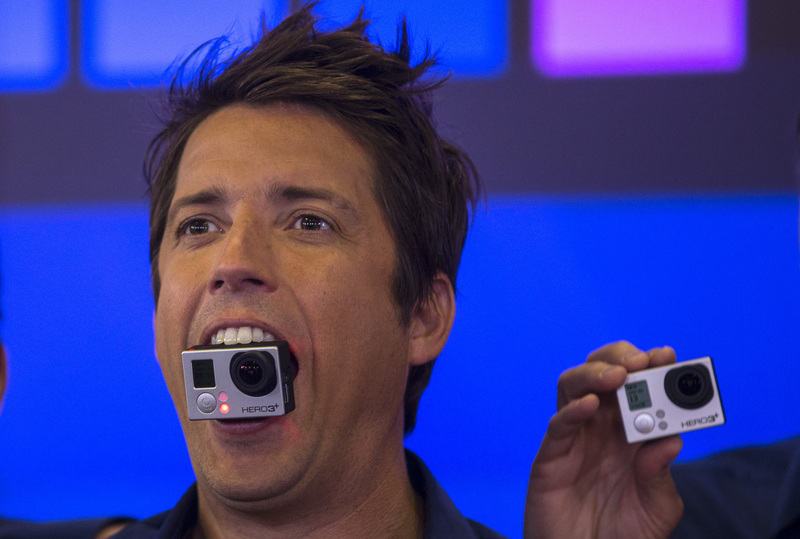 GoPro Inc's founder and CEO Nick Woodman holds a GoPro camera in his mouth as he celebrates GoPro Inc's IPO at the Nasdaq Market Site in New York City, June 26, 2014. GoPro is cutting 20 percent of its staff and exiting the drone market, blaming an extremely competitive aerial market and a hostile regulatory environment. The company also said fourth-quarter revenue would be around $340 million. In November, the wearable-camera company said it expected sales of $460 million to $480 million. Founder and Chief Executive Nick Woodman will reduce his 2018 cash compensation to $1. A source told Reuters the company was considering selling itself and had hired JPMorgan to do so, but Woodman denied hiring the bank in an interview on Bloomberg TV.